Posted by Les Ferguson, Jr. I grew up hearing the old saw “never talk about politics and religion at the dinner table” with the idea that the topics were too incendiary for polite company. Being a preacher’s kid kind of put the kibosh on the religion aspect—at least at our house. I have good memories of rich theological discussion and debate. In fact, my memories are so vivid that I have blamed my father for our differences in theological understanding. Both of my parents encouraged us to think, reason, and study for ourselves. My Dad is in his late seventies now and we still thoroughly enjoy discussing and learning from each other. But politics? Those don’t play a big role in my memories. I remember political moments for sure. I can easily recall the tension of their support for the Civil Rights movement. I remember the drama and concern while watching the draft numbers from the Vietnam War era being called out on the evening news. The only overtly political legislation that evoked difficulty or concern that I remember was the proposed Equal Rights Amendment. Other than that, I have no memories of political arguments—no upset dialogue, no legislative anxiety. Eventually that would change during my high school years. Jimmy Carter was president and I began to pay attention half-heartedly to the political rumblings during his term. My senior year would see me fully engage with the political process for two important reasons. First, the Iranian Hostage Crisis was front page every day—you couldn’t escape the outrage. And second, I took a senior US. Civics class where we could earn an “A” test grade if we registered to vote. If you ever looked at my high school transcript, you’d know I needed every “A” possible! And by registering toward the end of my senior year (1980), I was able to cast my first ballot in a presidential election—for the Great Communicator, Ronald Reagan. Unfortunately, with that first vote, I was hooked. I studied/ researched issues, involved myself in some low-level activism, and before I even knew what had happened to me, I was a full-fledged political animal. By the time of the twenty-four hour a day cable news networks, politics began having an inordinate sway in my life—a sway that took years to break—a sway that has threatened to overtake my life on several occasions. So yes, I became one of those gloom and doom folks who sweated out elections, who fussed and fumed over policies deemed detrimental to my way of life. I particularly became unglued/ unbalanced over losing our health insurance and doctors. Frankly, those were some unhappy years. Those were times in which I made the people closest to me miserable–including myself. I wish I could say that in the midst of my angst I always acted with a Christ-like spirit, but that would be self-delusional at best. If I could be totally honest, as much as I despise the term jerk, that’s exactly what I became. So, what do I want you to know about the Christian and politics? I thought you’d never ask. We could talk about Jesus’ words in Matthew 22:21, “Give, then, to Caesar the things that are Caesar’s, and to God the things that are God’s.” (Matthew 22:21 CSB17) Honestly? That’s a much-needed reminder. We could talk about Paul’s words in Romans 12—about presenting our bodies as a living sacrifice—about not being conformed to this world. Hey, that’s something I need to consider on a regular basic, politics or not. And worse than that, it is scary to realize how out of whack I can let my priorities be! As a child of God, I need to remember that His Kingdom is eternal while the politics of this world will one day pass away. At one point in my journey to become a published author, I was introduced to and subsequently retained a literary agent. His job was to help refine my work, find a publisher, and otherwise babysit me through the process of getting a book printed and on the shelves. We reached an agreement on a Friday mid-day. 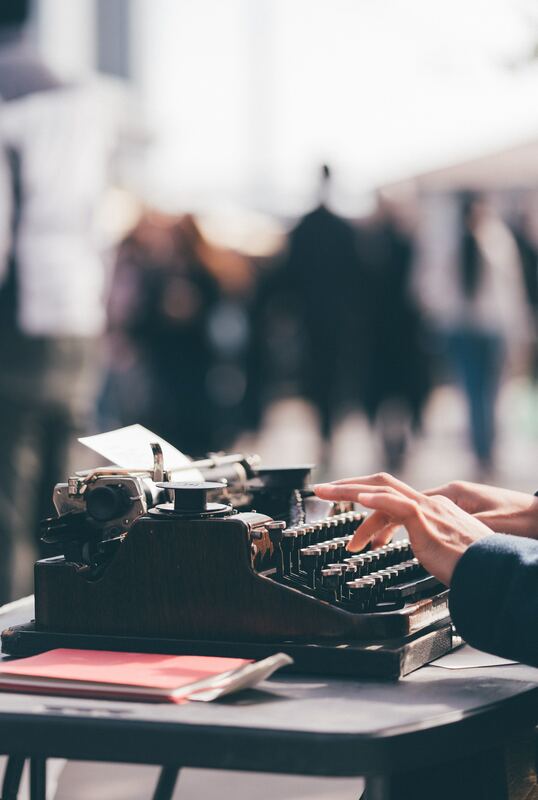 His last words to me were, “go tell your wife you are a writer with a literary agent.” It was a big deal and I was never so excited and exuberant as I was that day. And of course, I told Becki and we celebrated (or least I danced around the room a lot). On Monday, my new literary agent called and said, “I’m sorry, but I’m going to have to cancel our agreement—I don’t have any publishers that would work with a book like yours.” And since I already knew he worked with religious themed books and authors, that was code for this is awful and I don’t want anything to do with it. On Friday, I danced. On Monday, I moped. To say I was disappointed is to be greatly understated. Honestly? I was devastated. I felt totally rejected. On that Monday, I particularly saw this specific rejection as a metaphor for my life. It was, to me, just one more example of the universe declaring me unworthy… Yes, I had a pity party, and no, you were not invited. I don’t need to bore you with the details of my tragic story of heartache and pain. There is more than enough information out there in the public domain—and we both know it was incredibly messy. It has been, in many respects, a long hard row to hoe. I would love to be able to laugh, smile, and say emphatically that it all cleaned up nicely. Kind of like spilt milk—you grab some cleaning supplies and sponge it all up–done, over, nice and tidy. While that would be good and helpful, the messiness of life rarely ever cleans up so easily. Worse, it often takes far more time and effort than you would hope. In fact, if you’ll allow me to use a different kind of metaphor, most life messes are more like the bowl of instant oatmeal that explodes in the microwave. If you have never experienced it, don’t. Seriously. It becomes a big, nasty, wet, steaming, hot mess. Worse, it gets everywhere (there has to be some arcane scientific principle involved here)—it permeates every nook and cranny and takes considerable time and effort to clean up. Even after expending significant energy and using a copious amount of paper towels, you may still find vestiges of exploded oatmeal in the days and weeks to come. Some seven years after our family tragedy, we are still cleaning up the mess in one form or another. The pain and heartache has worked its way into every facet of life. I see it in my children and the decisions they make. I see it in the way I approach certain situations. Frankly, there are times when logical, rational thought seems to completely disappear (I still panic when I can’t reach my wife or one of the kids on the phone). I remain a mess to be sure. And then there is the matter of grace. Where we want cause and effect, logic and rationale—where we want to earn what we get by virtue of our own abilities, God meets us instead with the messiness of grace. God gives grace to messy people who continue to create messes. (How many people do you know who get life right all the time? I rest my case.) All this to say, some messes don’t clean up easily at all. Some messes take a lifetime. Some messes will always be with us on this side of eternity. The sin-sick brokenness of a lifetime doesn’t disappear overnight. Not in me. Not in you. I am a work in progress. My life is messy. Giving new meaning to Thanksgiving, I am so thankful for the grace of God working in me. May God bless us in our mess! 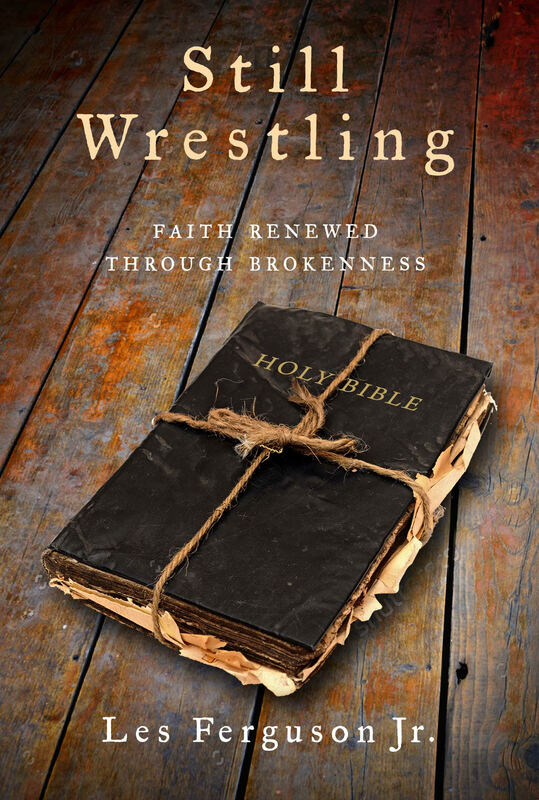 This past April, Leafwood Publishers released my new (first) book, Still Wrestling–Faith Renewed Through Brokenness. It has been an amazing journey. Not only to write a book, but to survive, thrive, and find the kind of redemption, restoration, and reconciliation only our great God can bring. As I have written elsewhere and often, life can be exceedingly difficult–filled with trauma, heartache, and brokenness. I wish I didn’t know that as well as I do, but, God has seen fit to help me help others who struggle too. And I am thankful for that. In sharing my story of tears and pain, God has allowed me to experience a healing I never thought possible. He has redeemed this horrific story and given honor to those we have lost. If you are reading this, there is one thing I am certain of: you are broken too. It may not be as unfortunately obvious a story as mine–splashed across the headlines of your local or even national news, but broken you are. It doesn’t matter how you emphasize it. It doesn’t matter the details. It doesn’t matter if it is public or private. It doesn’t matter if it is known only to you and God. Broken we all are. By sin. By circumstances. By matters out of our control, we all know some level or degree of pain, sorrow, turmoil, or difficulty. We all know the heartache and fear of uncertainly. We all know the consequences of our own failures as well as the failures of others that impact us directly and indirectly. Can you go ahead and say it with me? I am broken. My book is not the only book that might help you in your struggle. My book is not the only book that can give you a new perspective or a renewed hope. I wish I could tell you differently. I wish I could say the only book you will ever need besides the Bible is mine, but then my brokenness would be even more evident! Thankfully others have written different things to help with every imaginable circumstance. I trust you can find your way to the things you need. However, I’d like to point out a resource that might very well be the encouragement, connections, and fellowship you need to raise above your particular struggle. We invite you to campus Sept. 16-19 for Summit 2018, when we will explore “Wholeness in a Broken World: Together Through the Power of the Spirit,” a study of contemporary issues through the book of Ephesians. Check it out! There are lots of great opportunities to be encouraged–I’d love to meet you there! Tamar, Rahab, and Bathsheba: Three Ancient, But Modern Stories of Hope and Redemption! It”s been awhile since I ventured to share anything here, but the following has been used in the Clarion Ledger as well as part of a message given this past May at Pepperdine… LFjr. There was a time when my own story of heartache and pain was a raw, open wound. I don’t make reference to it as much these days because God has seen fit to bring an outpouring of immense beauty and hope into my life. Do I ever have moments when grief and pain, fear and doubt still assail? Yes, I do. When America celebrates Mother’s Day, I am much more cognizant of the pain experienced by many (including some of my children) during this time of celebration and honor. Although I am grateful that a story like mine is not the norm, there is a need to identify with each other: Every one of us knows some degree of pain, heartache, and difficulties—those are often the human condition. First up is Tamar–her crazy narrative is found in Genesis 38. It’s a story of family tragedy and loss, of evil wicked men and exploitation. Before the whole disgraceful mess is through, Tamar is thoroughly used, dishonored, devalued, and discounted. Since this is a family newspaper, that’s the G-rated version of the story and about as deep into it as we are going to go. I trust you can read Genesis 38 on your own. The second story is that of Rahab in Joshua 2. Honestly? I couldn’t find a single version that uses a socially tolerable word to describe her. Euphemistically, we might refer to her as a “madam” or “lady of the evening.” Let me hasten to add that I do not believe for a single moment that this “profession” was her life’s ambition. Again, I am going to trust that you know more of the story than what is acceptable to talk about at the family dinner table. I am also going to trust that you can read between the lines enough to see that both Tamar and Rahab were the victims of sexual exploitation. So, there’s Tamar and Rahab, neither innocent of their own sin, but yet both victims of exploitation. Hold on to the word victim for a bit as we also consider the story of Bathsheba as found in 2 Samuel 11. This story especially could be lifted out of the headlines of today. In short, a powerful man had an affair with a beautiful woman and in the process of trying to cover it up, murder was committed. The difference in stories is found in the time and culture of Bathsheba. In her time, she would have had very little voice or power with which to deny the king what the king wanted. Was she a victim too? I’ll let you read the story and think through it yourself. However, I am firmly convinced that all three of these ladies were victims of wicked men and ugly power trips. And I guess if we wanted to, we could use this as a stepping stone to talk about basic human dignity. We could talk about true justice or equality. We could make this about the #metooheadlines and accusations of today. If you are reading this passage at home, there’s a chance you will be discouraged by all the hard to pronounce names. There is a tendency to think of this as a bit rote and dry. But as you read, you’ll not only find Tamar, Rahab, and Bathsheba, you’ll also see two of the men who exploited them as well. The older I get, the more fascinated I am by the study of genealogy. I recently sent off my DNA to Ancestry.com—and I am looking forward to learning more and exploring my family tree. I don’t know if I’ll ever find a connection to some historical person or setting, but what I have learned from the genealogy of Jesus is both fascinating and hopeful. Tamar, Rahab, and Bathsheba are each an example of a broken, messed up, exploited life! All three of their stories tell me that no matter how bad it gets, no matter where we end up, not matter how deep the hole might be, none of us are unredeemable for the purposes of God! In a funny serendipity, for me, it took being broken hard to understand I have always been broken! But whatever my story was, whatever my story might yet be, God can and does work through all of it! Broken, but redeemed! If God can redeem their stories and mine, then God can redeem yours! Psalms 147:2–6,The LORD rebuilds Jerusalem; he gathers Israel’s exiled people. He heals the brokenhearted and bandages their wounds. He counts the number of the stars; he gives names to all of them. Our Lord is great, vast in power; his understanding is infinite. The LORD helps the oppressed but brings the wicked to the ground. I spoke passionately for about twenty minutes. This particular friend? We could have talked for hours. There was a lot to say. Still is. Marilyn was one of the most loving, caring, and giving women I have ever known. If something needed to be done, she was the one. And if it required money and she couldn’t fund it herself, she could talk the Grinch into paying for it. So here I was. 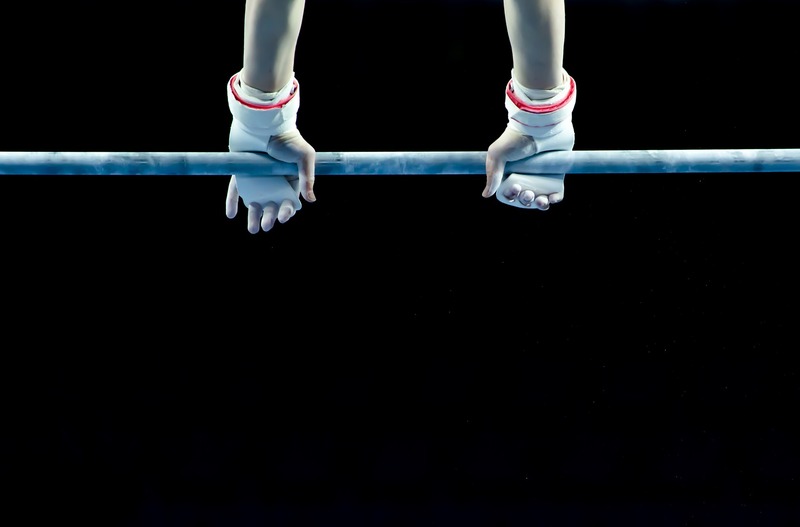 My part of the funeral service was over, and that’s when I entered the gymnastic competition. Or tried to fly. I am not sure which—I’ll let you decide. At any rate, when I stepped down from the rostrum on to the lower (unsecured/ unattached) step, my athletic prowess began to shine… the step tossed and rolled—I went into the air, did a graceful turn, flip, and then planted myself into the hard floor shoulder first. My right shoulder. The one my right arm and hand is attached too. Did I mention I am right-handed? Why yes, yes, I am. I don’t know if I have ever fallen and popped back up so quickly. Truthfully, I was mortified, embarrassed, and mortified some more. Yesterday (Monday as I write this) the pain in my shoulder and arm finally got to the point where Becki was tired of hearing me complain about it (it’s the gift that keeps giving). So, I wimped out and made an appointment to see a doctor. That rarely happens in my world, but I went. The verdict? Who knows? At this point we are just going to treat it with Naproxen and see if it gets any better. In the meantime, while I can’t quite scratch my back with my right arm or throw a ball like I should, I have run into some other health issues. Suffice it to say, I did not enjoy telling my wife how truly high my blood pressure was at the doctor’s office. No, that was not a conversation I wanted to have. All married men everywhere know the look. Yep, that one. I got it. Hard. Guys, pray for me. The fallout is severe. I am now on a starvation, uh, I mean strict, diet. As it was told to me, I WILL exercise every day (You are NOT leaving me here by myself with all these kids). And, I WILL learn to relax and let go of some of my stress and anxiety. Unfortunately, I am not the only person with a magical ever-expanding waistline. And truthfully? I know I have to learn to turn things off, to not take things so personally, and to realize I am not the only person capable of whatever needs doing. It’s hard to break the habits of a lifetime, but that is what I must do to have a better quality of life and health. Do I spend quality devotional time with God? Am I committed to my faith community? Do I work at building God-honoring relationships with those outside my faith family? What are my real-world spiritual priorities? As it turns out, I know the things I need to do to make better my physical health—and I know the source of my spiritual well-being. Are their needed changes in my life? You betcha! Here’s this preacher giving you the look.